Recently I finally found time to play my way through the single-player campaign of Modern Warfare 3 (MW3). As those who follow me on twitter know, I had been anticipating MW3 for a while now. 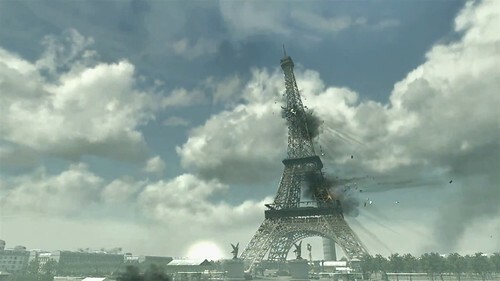 Throughout the lead-in to the game’s release we had been treated to epic trailers showing the destruction of cities such as New York and Paris. Given that I am currently trying to write about visions of urban cataclysm, playing my way through an interactive – if not immersive – rendering of such visions of urban violence had been on my to-do list for a while. Just over a year ago, I was invited to comment on Peter Adey’s book Aerial Life for an ‘author meets critics’ panel at the at the RGS-IBG conference. It was a real pleasure to be afforded the opportunity/excuse to read and comment on Aerial Life. The book itself is a fascinating and challenging examination of the manner in which life becomes ‘aerial’. 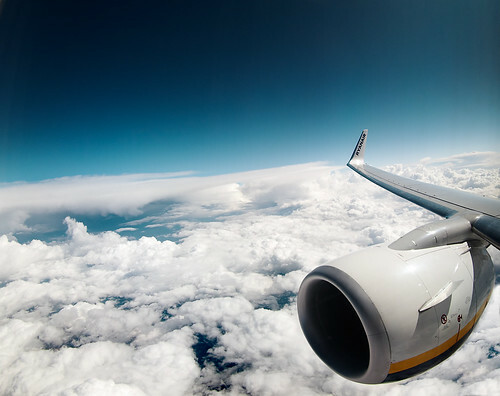 It examines not so much what it means to be ‘in-the-air’ but the condition of being ‘air-minded’. It is less about pilots and passengers – though these make numerous appearances – than the manner in which air power ‘condition’s’ the life of those on the ground. This ‘air conditioning’ is exmplfied in excellent discussions of air power in the Gaza Strip, Malayan Insurgency and London Blitz. The concentration on the affective dimension of biopolitics is a welcome addition to the literature on the production of forms of life. My commentary, along with several others, have just been published in Political Geography. If you have an interest in vertical geographies or the biopolitics of air power I strongly recommend taking a look here.